Good things do come in small packages. If a person with normal cravings is served a large piece of chocolate cake what do you think they would do? Maybe eat the whole thing or eat just a few bites then wish later they had finished the cake. I know I don’t want to go to bed with chocolate regrets knowing that if I had finished that cake I would be completely satisfied. You can finish this cake and not have any guilt feelings about eating too much even though you cleaned your plate because this is a tiny 4-5 bite serving. Just how many chocolate things do I like? 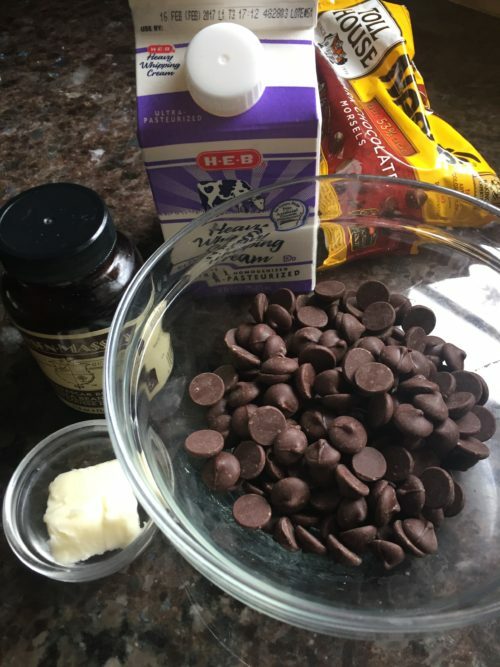 Well, I have to start with Tootsie Rolls, then chocolate covered strawberries, chocolate chip cookies, chocolate cake, Milk Duds in my movie popcorn, chocolate pot de creme, York Peppermint Patties (one of my favorites), chocolate cheesecake, chocolate bread; you name it if it is chocolate I’m going to like it. I’ve got a tip for you when it comes to buying all that fruit on top. Sometimes when I only need a few pieces of different fruit and I don’t want to buy 4 different boxes of fruit, I go to the salad bar at the grocery and pick just what I need to do my recipe that way I don’t end up with all that extra fruit; of course, usually we end up eating the extra fruit. Kiwi would be a good fruit to use since you could buy just one and slice thin and add with blueberries and raspberries. Try whatever is your favorite berry or fruit. BLAST FROM THE PAST: Chocolate Angel Pie still remains one of my all time favorite desserts. 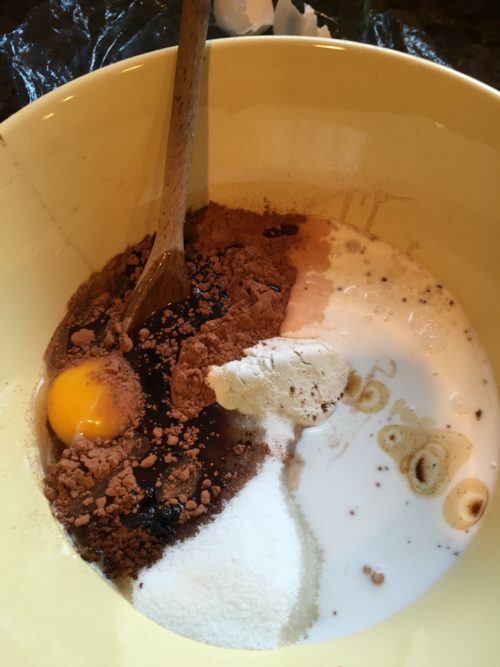 Mix the dry ingredients together in large bowl. Use a pastry brush and butter the insides of your small straight size jars. 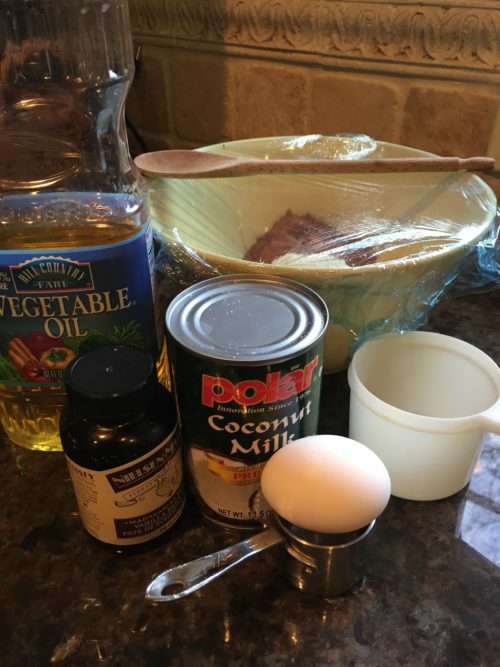 Mix in the egg, coconut milk, oil and vanilla and mix until combined. 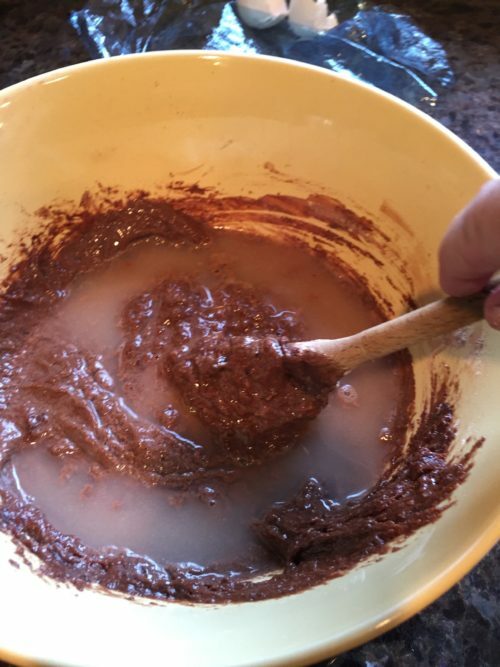 Mix in the hot water and mix until the batter is smooth. Fill the jars only 1/3 full. 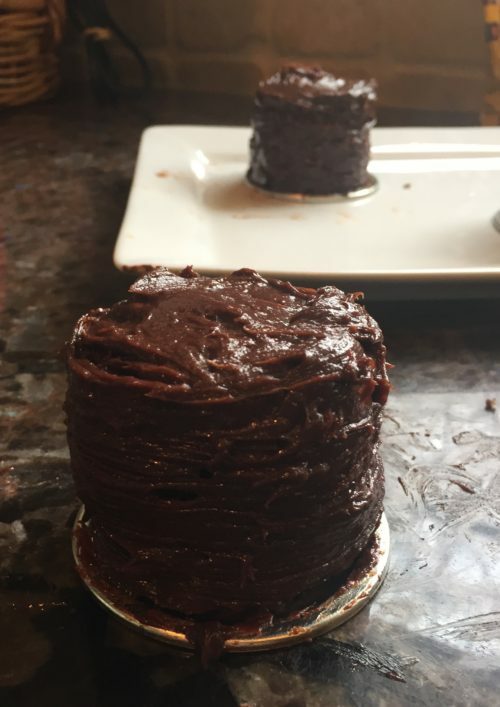 Cut the cakes in half to make minis or just flatten off top if you want a taller cake. 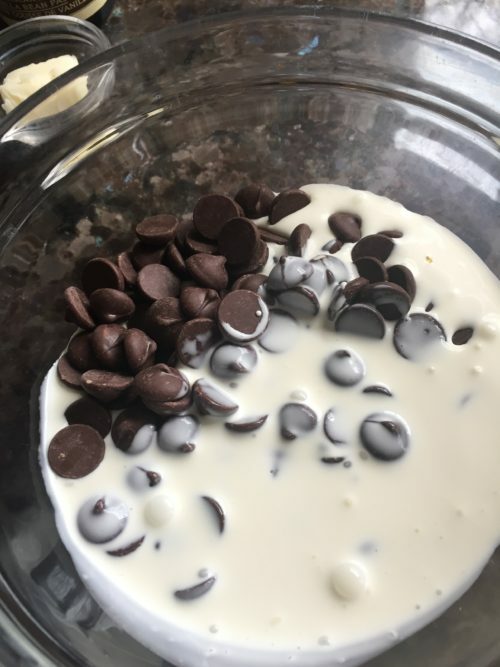 Heat the cream and then add the chocolate chips and let set for a few minutes. I put the cakes on the jar lids to make icing easier. 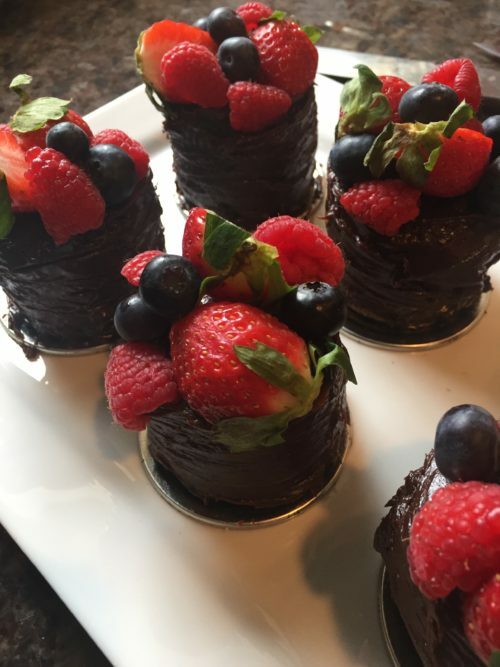 Run the tines of a fork around the sides of the cakes. Put mixed fruits on top. If you want a little shine to them (I did after the picture) melt some jelly or marmalade and brush over the fruit. Grease and flour 5-6 tall, thin mason jars. 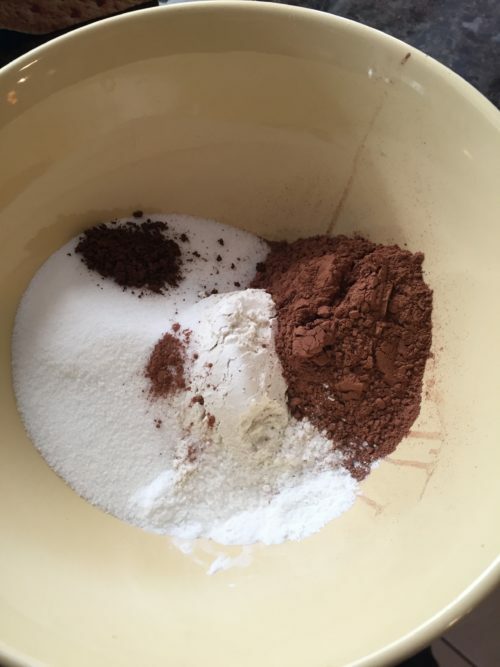 In a large bowl, combine the flour, sugar, cocoa powder, baking soda, baking powder, salt, and espresso powder. Add the coconut milk, vegetable oil, egg, and vanilla to the dry ingredients and mix until just combined. Add the hot water and mix in until the batter is smooth, scraping the bottom of the bowl once so that the batter is evenly mixed. 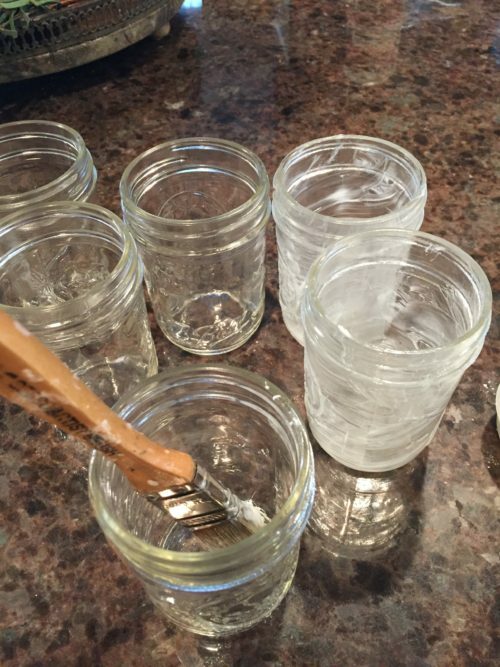 Pour the batter into the prepared mason jars. Make sure that you do not fill the jars up more than ⅓ full. If you fill them more than ⅓, your batter will likely spill over when baking. Baking time will depend on the size of jars that you use. Start checking after about 12 minutes of baking for doneness. Cakes are done when the top of the cake is puffy and firm. Take care not to under-cook the cake. If under-cooked, the cakes will be very difficult to get out of the jars. A little over-done is better than under-done. 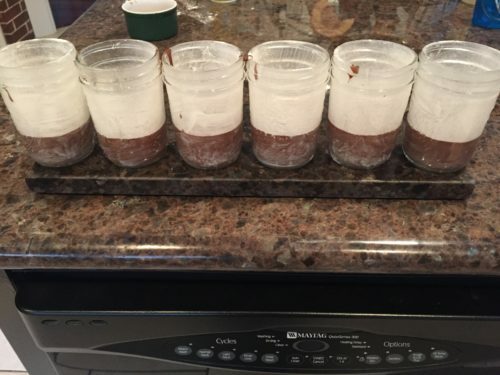 Let cakes cool for 5 minutes, then invert jars and remove cakes. You may need to run a knife around the edges before removing. 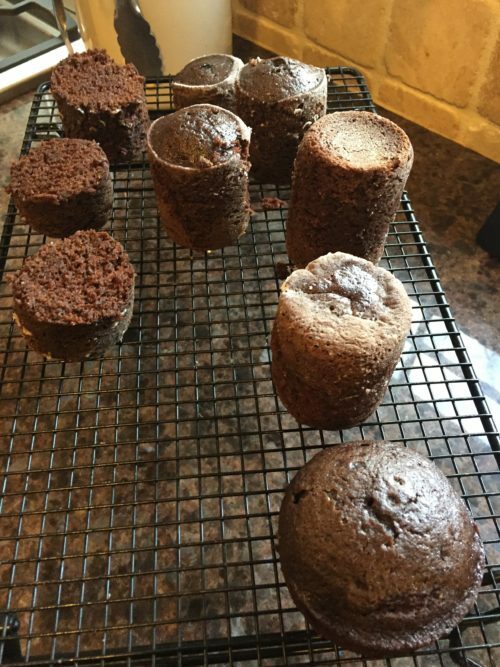 When the cakes are cool, level the tops and cut the cakes in half, making 10-12 mini cakes. Place each cake on a little plate, or you can do what I did and use the metal jar tops that come with the jars as a plate(this way you can move the cakes around, but there won't be much "Plate" showing. 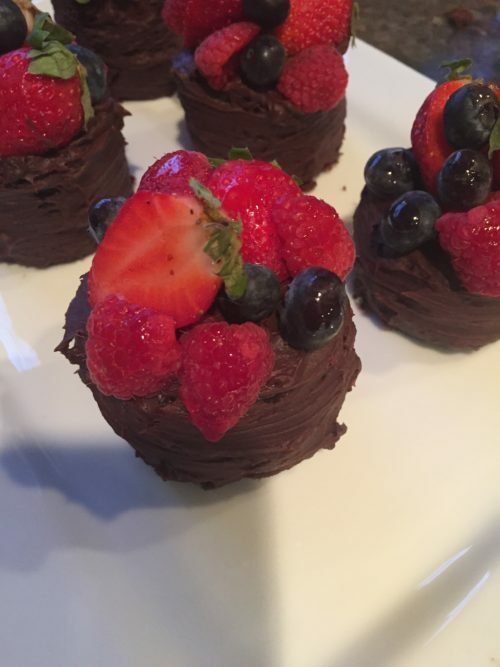 Frost with the chocolate ganache. 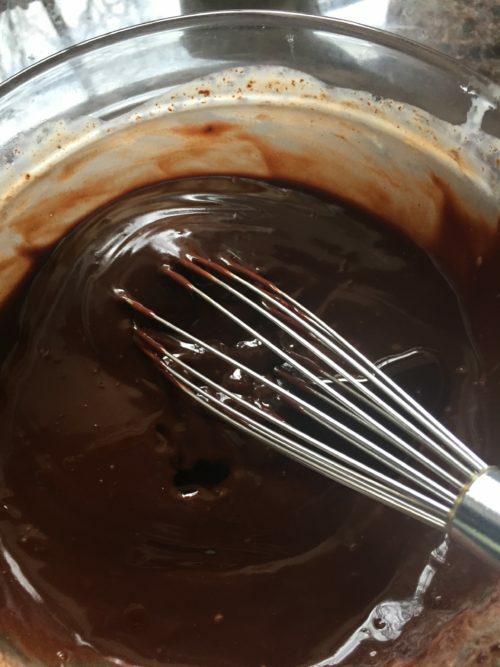 Ganache should be at a spreadable consistency, not too firm to spread, but not runny. If it is too runny, let it set a little longer. If it is too firm, pop it in the microwave for 10 seconds and stir with a whisk. 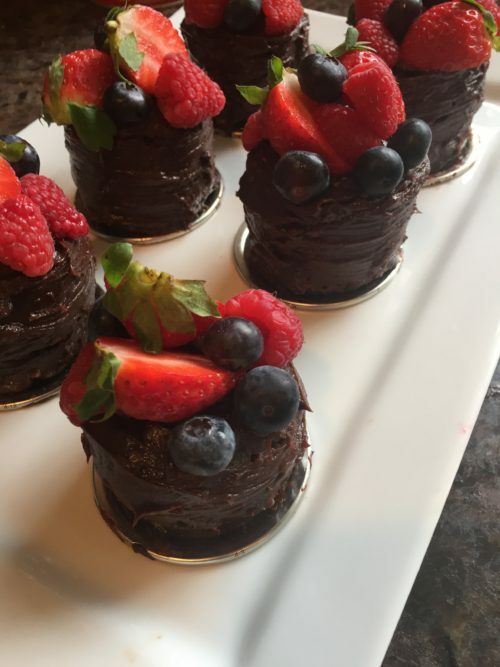 After covering each cake in ganache and smoothing the tops and sides, run the tines of a fork or the bottom of a small paint brush around the sides of the ganache, all the way up the cakes. 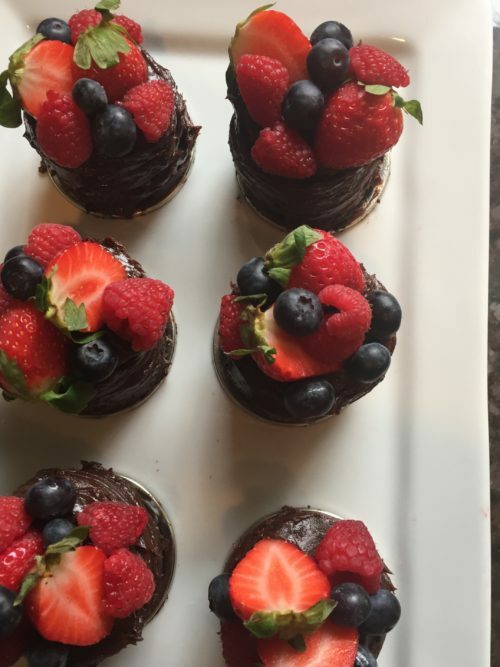 Top each cake with about 3 strawberry halves, and as many raspberries and blueberries as you can pile on. Serve as is or refrigerate for a more truffle-like cake. Some of my cakes I left without cutting so I had some tall cakes and some shorter cakes.